Quite often when get customers purchasing a new camera and when sorting accessories we go through the list, Screen protector, memory cards, spare batteries, and a case/bag. It still surprises me that many customers dont go for a case. The common answer i get is i will just put it in my pocket/handbag or wrap it in a cloth. This to me strikes as a bit weird, after all, why spend a couple of hundred dollars plus on a camera that will rattle around a bag against cellphones, car keys etc etc and risk damaging the camera. This is especially true with System cameras such as MILCs or DSLR’s. To me, why spend $700-$10,000+ on a camera for it to be wrapped in a soft cloth that may fall off and doesn’t really offer much protection to your camera. One problem is that DSLR’s and MILC’s vary in size dramatically, and systems vary too, with different lens/accessory combo’s, this makes bags a very personal thing. Camera bags now come in many shapes, sizes and colors. Bags can be a shoulder, sling or backpack style. Shoulder bags can look quite traditional, and these often are quite large, offer a heap of storage space for bodies, lenses and other accessories. The downside to these are many lack space to hold a laptop or tablet and are only available in a boring color like black (left). Shoulder bags are becoming a bit more stylish, with the messenger/satchel styles being designed more often. The bags have space for a body and several accessories, plus many have a place to put a laptop or tablet computer, have more than one color available and do not look like a traditional camera bag(right). Sling bags are really an extension of the shoulder style bags. 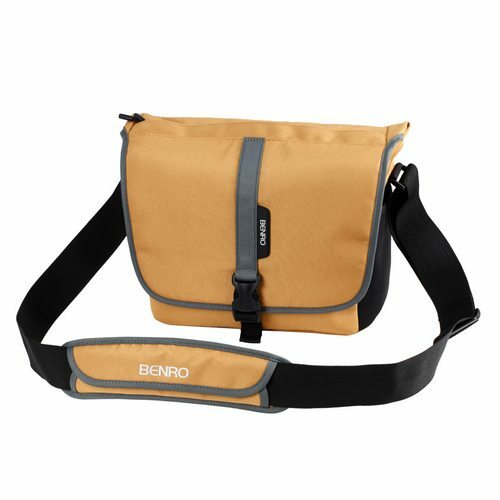 Many sling bags have side openings which allow you to swing the bag around to the front and access the bag easily to change lenses, or grab accessories out for use. 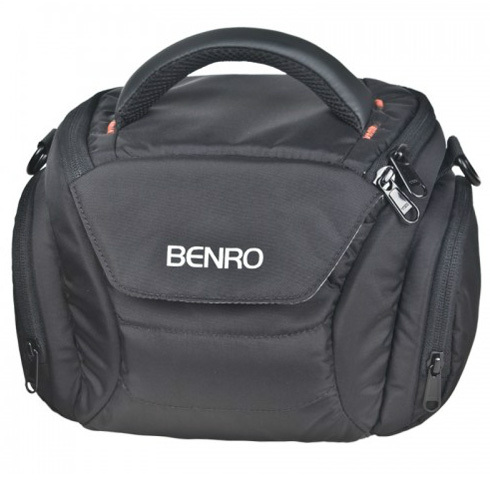 Many of these bags do allow a small laptop or tablet to be carried as well. Backpack bags are a very popular choice. The backpack allows lots of gear to be carried easily with a bit of comfort. 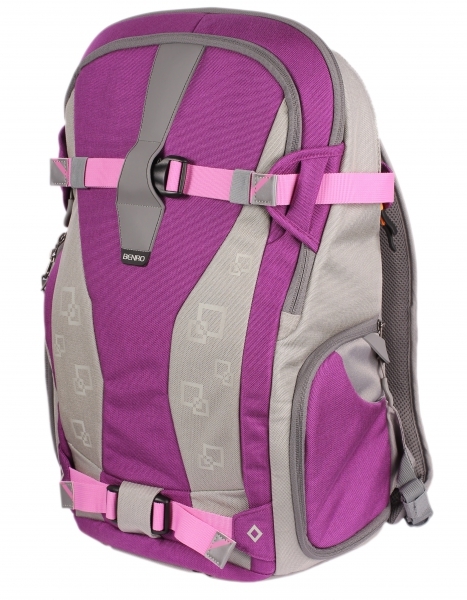 Backpacks also generally have a small space to put light weight jackets or snacks which make them ideal as a day pack. Some backpacks are designed more around the daypack side, so the ability to carry lots of camera gear is reduced, but the bag will still hold a DSLR with a couple of lenses, laptop and still have enough space for snacks, jackets, drink bottles etc. Backpack bags in many cases do not look like a camera bag, and with lots of styles and colors available, this makes them appealing to street shooters and travelers who do not want to give away they are carrying lots of camera gear with them. 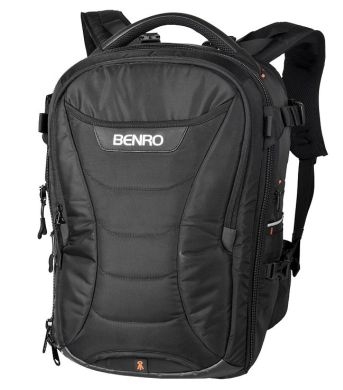 Some Backpacks are designed for pro shooters, this means the bag is totally dedicated to photo gear (pic right). These big packs will hold multiple Pro DSLR’s like Canon EOS 1 series or Nikon D4’s with 2-8 lenses including telephoto lenses such as 70-200mm f2.8’s flash guns, and upto 17″ laptops, and the ability to carry a large tripod on the outside. Another handy feature many camera bags now have is a rain jacket, These are either attached too the bag or are stored in a little compartment at the bottom or back of the bag and slide over the bag for extra rain protection. 2) Make sure your gear fits the bag, but is not too tight that buttons get pressed or switches move when you take the camera out or put it in the bag. On the flipside to that, you do not want a bag that is so big your expensive gear ‘float’s around where it can be damaged. Check out http://www.southerncameras.co.nz/category.pasp?categoryid=22 for our range of bags.